Born and raised in the small textile town of Alexander City, AL, “I was the kid that was always joking around, being the center of attention, and singing to anyone who would listen” he says. At the age of 13, Rexton’s family experienced a devastating house fire. The family came out of it unscathed; however, nearly all of their belongings perished. Almost as if it were a sign, the only belonging of Rexton’s to survive was the old guitar his brother had passed along to him years prior found hidden in his closet. The rest is history. Before he knew it, Rexton, Randall and Dean were meeting with the Vice President of Sony/BMG Entertainment, Renee Bell and he was offered an RCA Developmental deal. Shortly thereafter, he met with the President of Sony/ATV Tree Publishing, Troy Tomlinson and left with his first publishing deal as a new and upcoming artist. “It’s my dream coming true". 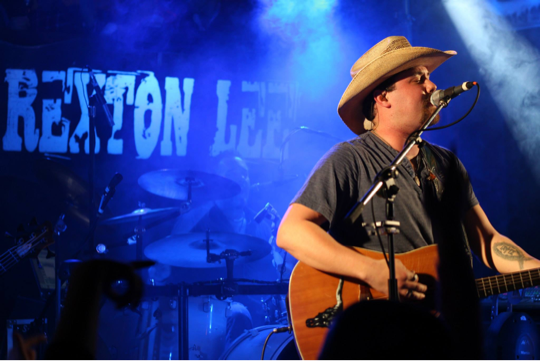 Look for Rexton Lee currently touring.